My friend Rich Handley of Hasslein Books wrote a book that is basically the unauthorized chronology of Alan Moore and Dave Gibbons' Watchmen, looking not only at the original book, but all of the material to date that's been about them, including the Before Watchmen series and the RPG, the mobile game, and whatever else Rich managed to find. 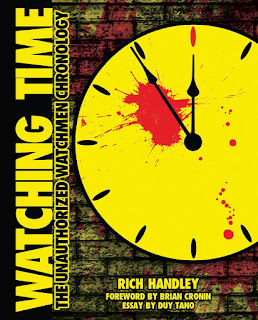 The book is entitled Watching Time: The Unauthorized Watchmen Chronology. I wrote an essay in the book, which I believe is gonna go near the end and may or may not be entitled "Reflections." Watchmen is one of my favorite books, and I'm proud and honored to be part of this project. 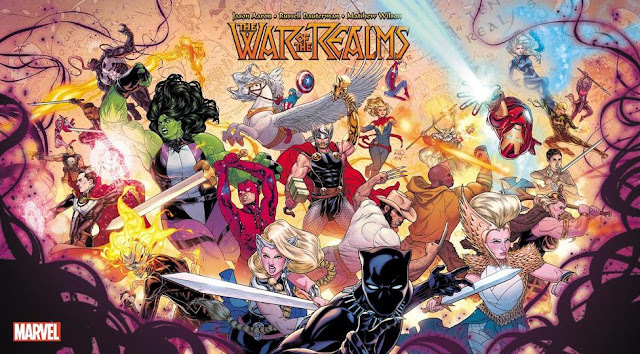 Brian Cronin of Comic Books Resources' Comics Should Be Good also wrote the foreword.